Sir Walter Raleigh found Native Americans cultivating sunroots in what is now Virginia in 1585. When the sunchoke reached Europe in the early 1600s, thanks to Samuel de Champlain, it was known as the "Canada" or "French" potato. The French, who call it topinambour (incidentally also a term used for an uncouth, uneducated person), are credited with improving the tubers and cultivating sunchokes on a larger scale. For many years, the Jerusalem artichoke was shunned due to an old wives' tale linking it to leprosy simply because of the similarity of the tubers to the shape of deformed fingers caused by the disease. During World War II, sunchokes and rutabagas were the most prevalent vegetables, giving them the reputation as a poor man's vegetable. Over 200 varieties are now available. They are used not only in many commercial products as a fructose source but also to make alcohol. The sunchoke has always been cultivated much more extensively in Europe than in America. If it is not an artichoke and it is not from Jerusalem, you ask, where in the world did the name come from? One theory holds Jerusalem is a corruption of the Italian girasola, meaning "turning toward the sun," a reference to the sunflower. Another theory involves another garbling of the Ter Neusen, Netherlands area where the sunchoke was originally introduced to Europe. Artichoke comes from the Arabic al-khurshuf, meaning thistle, another reference to the appearance of the above-ground foliation. These days, you will find them marketed under the less foreign-sounding name of sunchokes. 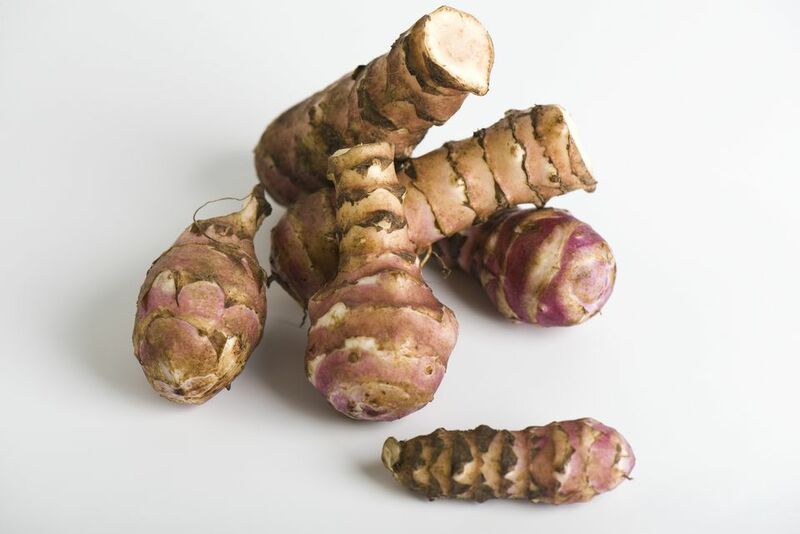 Whether you refer to it as Jerusalem artichoke, sunroot or sunchoke, the tubers have a delicate flavor that is slightly sweet and nut-like, similar to jicama and water chestnuts. Wondering About the History of King Cake?